The first outreach mission by the Korean Chairmanship was to the Islamic Republic of Pakistan on January 11th and 12th, 2017. The MTCR delegation was led by the MTCR Chair, Director-General (DG) HAM Sang-wook, and consisted of representatives of the MTCR Troika, MTCR Point of Contact, MTCR Experts Groups, and other MTCR Partners. 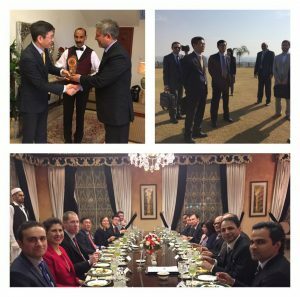 The MTCR delegation updated Pakistan on recent trends in the Regime and was briefed on Pakistan’s export control system, most recently updated last November. During the dinner, the participants exchanged each country’s best practices and outreach program experiences. On the second day of the mission, the MTCR delegation visited the Pakistan Center of Excellence for Nuclear Security (PCENS).